The Distinguished Postdoctoral Fellows program supports outstanding scholars whose research is related to energy and the environment with a focus on innovative technological solutions, smart economic analyses, and/or impactful policy solutions to our most pressing energy and environmental challenges. Distinguished Postdoctoral Fellows collaborate with Princeton faculty and/or senior researchers within an energy or environment-related field to articulate an interdisciplinary research plan that is aligned with the mission of the Andlinger Center. Applicants are encouraged to develop research plans that establish new collaborative links to or between faculty and researchers. This program provides a unique opportunity for postdoctoral fellows to develop their careers through independent and interdisciplinary research, while working with one or more research mentors who are experts in their fields, pursue broad inter-disciplinary research combining science, engineering, technology, policy, and social dimensions, and engage in theoretical and/or experimental research, which is either fundamental or applied in nature. Tapomoy Bhattacharjee, who earned his doctoral degree in mechanical engineering from the University of Florida in Gainesville, works on developing ways to design and control bacterial communities at Princeton. Bhattacharjee is developing 3D-printed biofilms to remediate contaminated water. Sujit Datta serves as Bhattacharjee’s mentor. 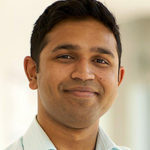 Bhattacharjee’s work focuses on understanding the fundamental mechanisms by which bacterial communities behave, and uses novel fabrication approaches to control and optimize biofilm-mediated remediation. In addition to Professor Datta, Bhattacharjee will work with Professors Peter Jaffé, Howard Stone, and Robert Austin. In 2012, Bhattacharjee earned a bachelor’s degree in chemical engineering from Jadavpur University in Kolkata, India. He then went to University of Florida, where he earned two master degrees in chemical and mechanical engineering in 2014 and 2015, respectively. He earned his doctoral degree in mechanical engineering from the same university in May of this year. Kian Wee Chen, who earned his doctoral degree in architecture and buildings systems at ETH Zurich in Switzerland, works on sustainable buildings with concentrations in sustainable design and computational design tools. At Princeton, Chen is developing advanced digital tools to create more energy-efficient built environments. Forrest Meggers serves as Chen’s mentor. Chen engages with Professors Mark Zondlo, Elie Bou-Zeid, Niraj Jha, and Naveen Verma in his work. 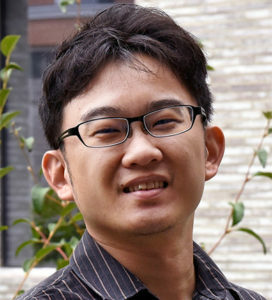 Chen’s research specifically looks at sensors, computational algorithms, digital fabrication, and virtual and augmented reality technologies. User-friendly versions of these tools and processes can help designers create and measure prototypes for a more energy-efficient built environment, instead of focusing on technical troubleshooting. Chen hopes to help designers gain better access to advanced building technologies and to encourage their application in the design of a holistic energy solution for the built environment. 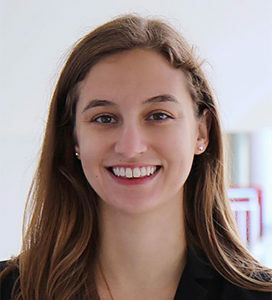 Rebecca Ciez, who earned her doctoral degree in engineering and public policy from Carnegie Mellon University, works on electric vehicle transportation and electricity generation technologies at Princeton. Daniel Steingart and Elke Weber are her research mentors. At the Andlinger Center, she looks at the crucial transition of the electrification of transportation, specifically electric vehicle technology, and electricity generation technologies. On the former, she focuses on the interactions between electric vehicle technology and consumer adoption by developing a model of the state of used electric vehicles at their time of sale, and comparing this model with consumer willingness to pay for different vehicle attributes that would justify battery replacement between owners. For the latter, Ciez looks at design choices, operating methods, and how use requirements work together in solar energy generation and storage systems. The output of this research will be useful for informing future research directions and development of new energy storage technologies. 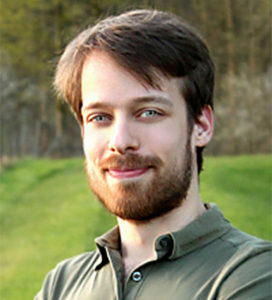 Bastien Wild, who earned his doctoral degree in earth science from the University of Strasbourg in France, works on the degradation of silicate materials, such as cements, rock-forming minerals, and glasses at Princeton. These materials have implications for green cements, carbon dioxide sequestration, and nuclear waste storage. He works under the mentorship of Ian Bourg and Claire White. Wild will also work with Professor Howard Stone. As a postdoctoral fellow, Wild will focus on the mechanisms underlying the alteration of silicate materials, including minerals, glasses, and cements. In particular, silicate alteration rates have important implications for the long-term carbon cycle, the durability of urban infrastructure, and the feasibility of several low-carbon energy technologies, including green cements, carbon capture and storage, and radioactive waste storage. Despite extensive research efforts, fundamental controls on the rates of silicate weathering remain incompletely understood. Wild’s goal is to test the analogy between transport properties at fluid-silicate interfaces and those prevailing in semi-permeable nanofluidic membranes (a synthetic membrane that will selectively allow certain molecules or ions to pass through) in order to better understand overall silicate weathering processes.